The US Senate is expected to confirm Brett Kavanaugh as the next Supreme Court judge, offering President Donald Trump a big political win and tilting the nation’s high court decidedly to the right. The Senate vote, expected on Saturday afternoon, will bring an end to a nomination process defined by harrowing testimony from Christine Blasey Ford, who said Kavanaugh groped her and tried to remove her clothing when they were both teenagers. Kavanaugh has denied the allegations. A contentious Senate committee hearing, during which Ford testified, led to a limited FBI investigation into the allegations. 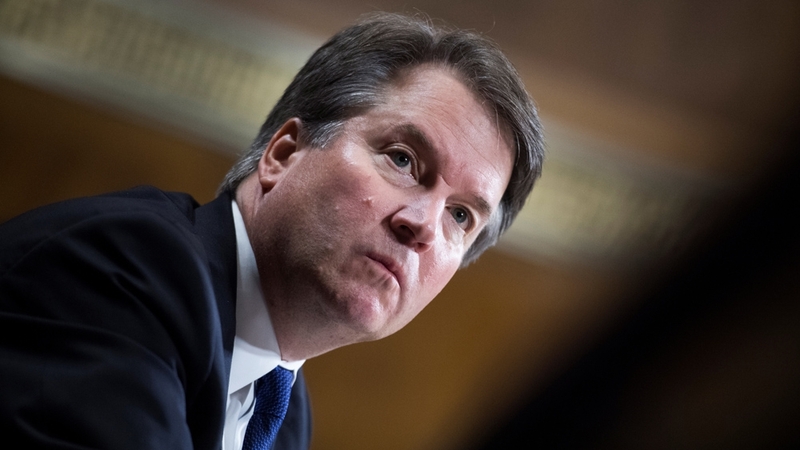 Kavanaugh’s confirmation was all but sealed on Friday when he won the support of key Senate Republicans Susan Collins of Maine and Jeff Flake of Arizona, as well as that of West Virginia Democrat Joe Manchin. Their statements of support brought the number of senators supporting Kavanaugh to 51 in the 100-member chamber. Manchin said he was voting in favour of Kavanaugh because it “what is best for West Virginia”. He is running for re-election this year in a traditionally Republican state. Collins looks poised to fight a tough re-election campaign in 2020 because of her decision to back Kavanaugh. A crowdfunding effort for her challenger – who has not been selected – raised well over two million dollars. The money will only be collected if Collins votes to confirm Kavanaugh. Collins called the campaign “bribery”. All eyes were also on the decision of Democrat Heidi Heitkamp of North Dakota, who is also running for re-election in a traditionally Republican state. Last year, Heitkamp, along with Manchin and one other Democrat supported Neil Gorsuch, Trump’s first Supreme Court pick. Heitkamp, however, announced on Wednesday she would be voting “no” on Kavanaugh. Republican Senator Lisa Murkowski of Alaska, which has the highest rate of sexual assault in the US, has indicated that she will vote against Kavanaugh, the only Republican to do so. The Supreme Court nominee is assumed to be an anti-abortion rights choice for the court. According to a Washington-based news site The Hill, many anti-abortion rights Democrats are shying away from their previous stance on reproductive rights, fearing a backlash from the Kavanaugh hearings. No Democrat in a competitive race for a seat in the US House of Representatives is running on an anti-abortion rights platform, The Hill said. Prior to the key senator’s announcements, much of the focus was on the contents of the FBI probe into the allegations. Senators and select aides spent hours in a special room on Thursday and Friday, reading the secret document. Republicans maintained the report did not corroborate the sexual assault allegations. Collins said it seemed “very thorough”. Democrats, however, called it “very limited”, saying that the most notable part of the report into sexual misconduct allegations against Kavanaugh “is not what’s in it”. Senator Dianne Feinstein, the top Democrat on the Senate Judiciary Committee, said that the report “looks to be a product of an incomplete investigation”. Two other women have also made allegations of sexual misconduct against Kavanaugh, which the judge strongly denies. Ford’s lawyers also questioned the handling of the investigation altogether. “An FBI investigation that did not include interviews of Dr Ford and Judge Kavanaugh is not a meaningful investigation in any sense of the word,” Ford’s lawyers said in a statement on Friday. “Had the FBI interviewed Dr Ford, she would have answered questions about Judge Kavanaugh’s assault, including questions that Ms Mitchell [who questioned Ford on behalf of Republicans] and the Judiciary Committee members failed to ask during the hearing,” they said. Meanwhile, the days of protests on Capitol Hill against the Kavanaugh nomination have resulted in hundreds of arrests, according to Capitol Police. On Thursday, protesters poured into the Senate office buildings, chanting “believe survivors”. After Manchin announced how he planned to vote, dozens screamed “Shame on you!” and “You betrayed us!”. Reacting to the protests, Trump touted a conspiracy theory popularised by the European far right, claiming that the protesters had been paid by the Jewish Hungarian American billionaire George Soros. There is no evidence to back up this claim. Smaller protests in favour of Kavanaugh have also taken place. Senate rules allow for 30 hours of debate after Friday’s procedural vote before the final vote takes place. If both parties decline to use their allotted time, which is divided equally, the debate could end before the 30 hours are used. A final vote is expected sometime after 19:30 GMT.